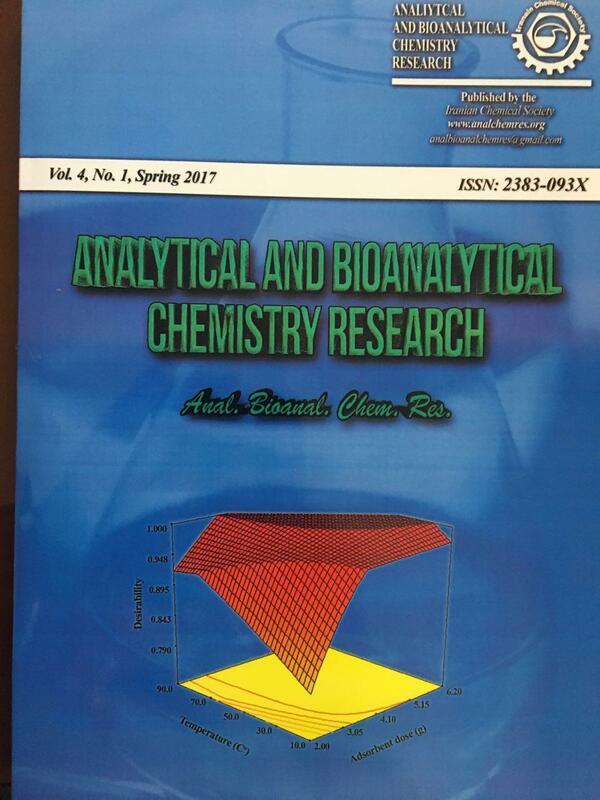 The anti-oxidant activities for a diverse set of flavonoids as TEAC (Trolox equivalent anti-oxidant capacity), assay were subjected to 3D-QSAR (3 dimensional quantitative structural-activity relationship) studies using CoMFA (comparative molecular field analysis) and CoMSIA (comparative molecular similarity indices analysis). The obtained results indicated superiority of CoMSIA model over CoMFA model. The best CoMSIA model is developed by using hydrogen-bond donor (H-bond donor) and electrostatic field components. This model gave the cross-validated correlation coefficient, Q2 = 0.512, correlation coefficient, R2 = 0.950, standard error of prediction, SE = 0.284, and F = 47.3, for training set, R2 = 0.922 and SE = 0.286, for test set indicating robustness and high prediction power of the developed model. The contour maps of electrostatic and H-bond donor fields of CoMSIA model provide interpretable and fruitful relationship between chemicals structure and their anti-oxidant activities, which give useful insights for designing new compounds with higher activity. J.B. Harborne, C.A. Williams, Phytochemistry. 55 (2000) 481. B. Havsteen, Biochem. Pharmacol. 32 (1983) 1141. M. Gabor, Prog. Clin. Biol. Res. 213 (1986) 471. V. Breinholt, A. Hossaini, G.W. Svendsen, C. Brouwer, S. Nielsen, Food Chem. Toxicol. 38 (2000) 555. C.-Q. Hu, K. Chen, Q. Shi, R.E. Kilkuskie, Y.-C. Cheng, K.-H. Lee, J. Nat. Prod. 57 (1994) 42. J. Olivero-Verbel L. Pacheco-Londoño, J. Chem. Inf. Comput. Sci. 42 (2002) 1241. S. Ramos, J. Nutr. Biochem. 18 (2007) 427. W. Ren, Z. Qiao, H. Wang, L. Zhu, L. Zhang, Med. Res. Rev. 23 (2003) 519. W. Bors, M. Saran, Free Radical Res. 2 (1987) 289. H.F. Ji, H.Y. Zhang, J. Mol. Struct. 767 (2006) 3. S. Teixeira, C. Siquet, C. Alves, I. Boal, M.P. Marques, F. Borges, J.L. Lima, S. Reis, Free Radical Biol. Med. 39 (2005) 1099. B.J. Lumbiny, Z. Hui, M.A. Islam, J. Asiat. Soc. Bangladesh, Sci. 39 (2014) 191. R. Blomhoff, Curr. Opin. Lipidol. 16 (2005) 47. J. Lee, N. Koo, D. Min, Comp. Rev. Food Sci. Safe. 3 (2004) 21. J.W. Chen, Z.Q. Zhu, T.X. Hu, D.Y. Zhu, Acta Pharmacol. Sin. 23 (2002) 667. K.E. Heim, A.R. Tagliaferro, D.J. Bobilya, J. Nut. Biochem. 13 (2002) 572. T. Yokozawa, C.P. Chen, E. Dong, T. Tanaka, G.I. Nonaka, I. Nishioka, Biochem. Pharmacol. 56 (1998) 213. M.J. Arts, G.R. Haenen, H.P. Voss, A. Bast, Food Chem. Toxicol. 42 (2004) 45. C.A. Rice-Evans, N.J. Miller, G. Paganga, Free Radical Biol. Med. 20 (1996) 933. R.M. Abreu, I.C. Ferreira, M.J.R. Queiroz, Eur. J. Med. Chem. 44 (2009) 1952. M.H. Fatemi, E. Gholami Rostami, Ind. Eng. Chem. Res. 52 (2013) 9525. D.S. Puntambekar, R. Giridhar, M. Yadav, Acta Pharm. Zagerb. 56 (2006) 157. W. Samee, J. Ungwitayatorn, C. Matayatsuk, J. Pimthon, Science Asia. 30 (2010) 81. T. Saraswathy, N. Ramalkshmi S. Arunkumar, Int. J. Pharm. Pharma. Sci. 5 (2013) 264. P. Jing, S. Zhao, S. Ruan, Z. Sui, L. Chen, L. Jiang, B. Qian, Food Chem. 145 (2014) 365. B. Chen, Z. Zhu, M. Chen, W. Dong, Z. Li, J. Mol. Struct. 1061 (2014) 134. R.D. Cramer, D.E. Patterson, J.D. Bunce, J. Am. Chem. Soc. 110 (1988) 5959. G. Klebe, U. Abraham, J. Comput. Aided Mol. Des. 13 (1999) 1. G. Klebe, U. Abraham T. Mietzner, J. Med. Chem. 37 (1994) 4130. R. Thaimattam, P. Daga, S.A. Rajjak, R. Banerjee, J. Iqbal, Biorg. Med. Chem. 12 (2004) 6415. B. Wendt, R.D. Cramer, J. Comput. Aided Mol. Des. 28 (2014) 803. C. Xue, S. Cui, M. Liu, Z. Hu, B. Fan, Eur. J. Med. Chem. 39 (2004) 745. W. Zhu, G. Chen, L. Hu, X. Luo, C. Gui, C. Luo, C. M. Puah, K. Chen, H. Jiang, Biorg. Med. Chem. 13 (2005) 313. G. Schüürmann, R.U. Ebert, J. Chen, B. Wang, R. Kühne, J. Chem. Inf. Model. 48 (2008) 2140.